Plumbing and Drain Cleaning Service - Call us now! The emergency plumber that answers the phone! When you need a plumber it is an emergency. You don’t want a sales person, you need a professional plumber. When you call Able Plumbing & Drain Service you will talk to Scott, the owner, who will address any emergency plumbing issue in the broad San Diego area in a quick and efficient way. 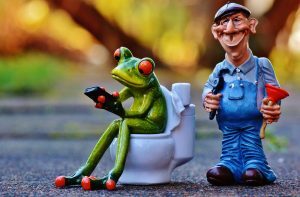 What makes our plumbing and drain cleaning service unique is the combination of resource-efficiency and white-glove support that only a micro-business can offer you. The broad area that we serve and the considerable expertise and experience of our staff has always been pointed out by our customers as our major strength. Anything from drain issues, faucet installs and toilet leak repairs to dishwasher repairs and more – we handle it with ease. You can verify that by taking a look at ourBetter Business Bureau profile and at Google + Local record. Loving the whole of our town, we see no reason to go hyper-local and service just a few particular neighborhoods of San Diego. On the contrary, we serve all of the broad San Diego area. Having been in the business since 1990, we know how to get around town and hence we don’t have any client-location preferences. You can stay in business for 23 years, learn the routine, get comfortable with it and stay at a particular level or you can be excited about what you do and always strive to become better and to improve your performance and working techniques. Our case is the latter – we are aware that our craft is changing ever so fast but that people’s needs for a fast and skillful solution to their plumbing issues are constant, hence we strive to always improve ourselves in order to satisfy our plumbing and drain cleaning clients. We offer you a reliable service for we are experienced plumbers that work at highly competitive rates. Once you receive your quote on your plumbing project you should be not afraid of any hidden charges and fees. As mentioned above, we are an A+ graded service in the Better Business Bureau. Also, feel free to check out our Google + Local reviews (see the link above) and in case that we have already serviced your home or office – we would be indebted if you send us your feedback. Our liability insurance guarantees you safety in the off-chance that our service should produce a malfunction. Being on this page, you are likely to be curious about plumbing and drain cleaning services and to want to increase your common knowledge on these, so be our guests and skim through the pages of our website. However, once you face a plumbing emergency, you should not hesitate to call Able Plumbing & Drain Service for an emergency and quality fix on 619-985-8204. If you’d like to read more about our services, don’t hesitate to visit our services section or read some of the Plumbing Facts that we’ve gathered for you.